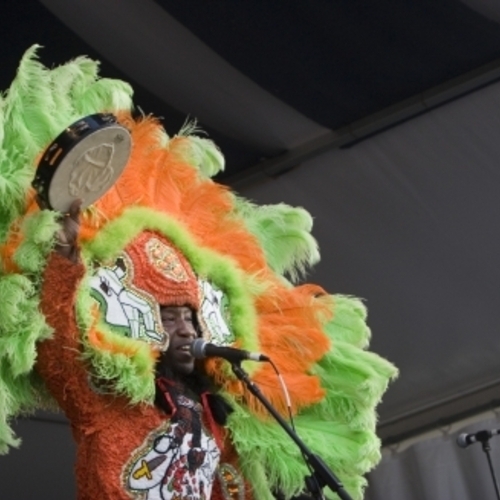 The merging of modern funk and Mardi Gras Indian music has come around with the advent of a group called 101 Runners. 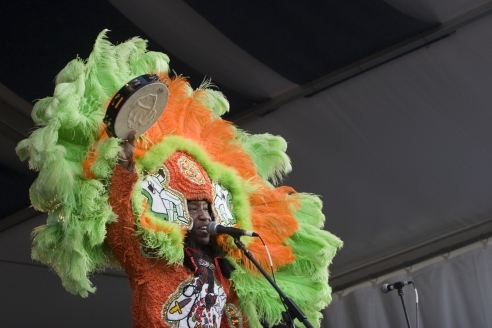 101 Runners are establishing “Indian Funk” as a rising force on the New Orleans music map, and the excitement continues. For two years now the 101 Runners have peddled their own brand of “heavy percussive Mardi Gras Indian funk.” The current all-star roster features Big Chief Monk Boudreaux on vocals, Uganda Roberts on congas, Kirk Joseph on tuba, “Mean” Willie Green on drums, War Chief Juan Pardo on vocals and percussion, snare drummer Ajay Mallory, bass drummer Lionel Batiste Jr., guitarist Billy Iuso, keyboardist Tom Worrell and bandleader Chris Jones on congas.